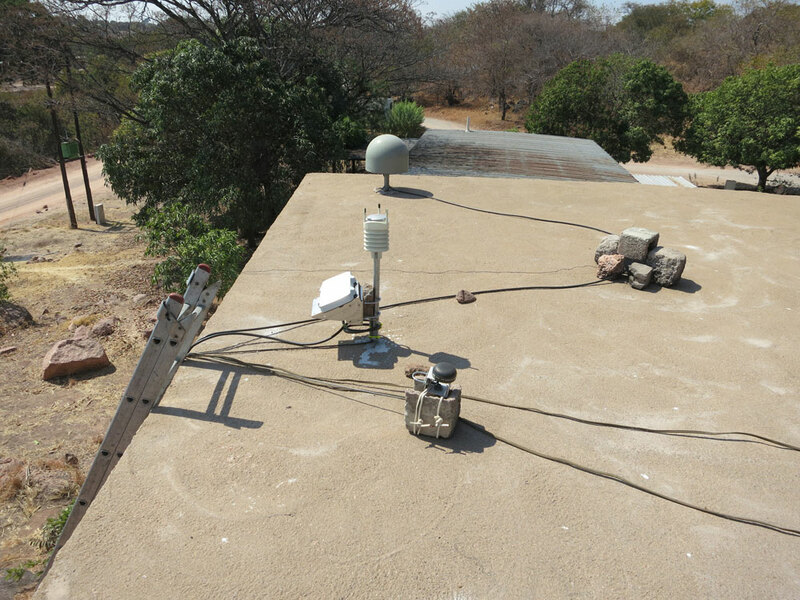 In July of 2012, UNAVCO engineers traveled to both Mongu and Itezhi-tezi, Zambia to upgrade continuous GPS sites by affixing data communication systems. 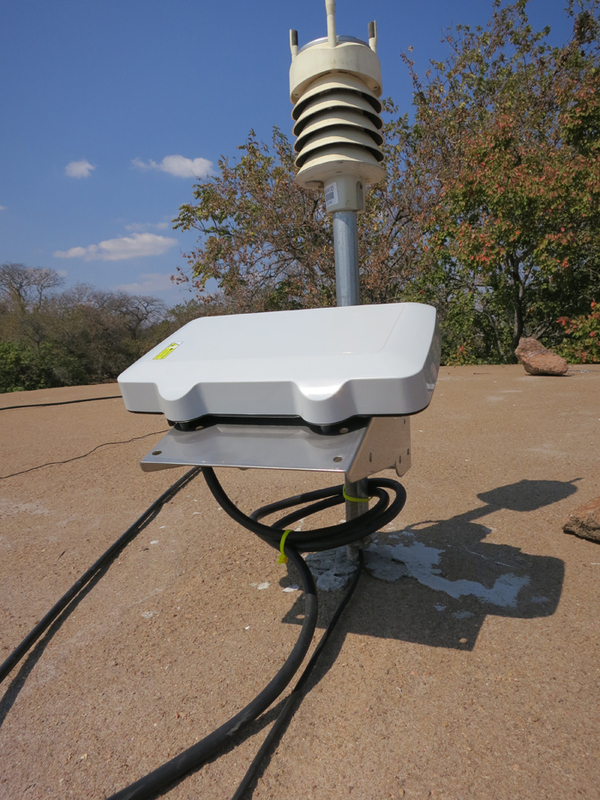 The Itezhi-tezhi GPS site received a BGAN satellite communication system and the Mongu site received a cellular modem. This allows both sites' data to be downloaded on a regular basis by the UNAVCO facility in Boulder, CO. 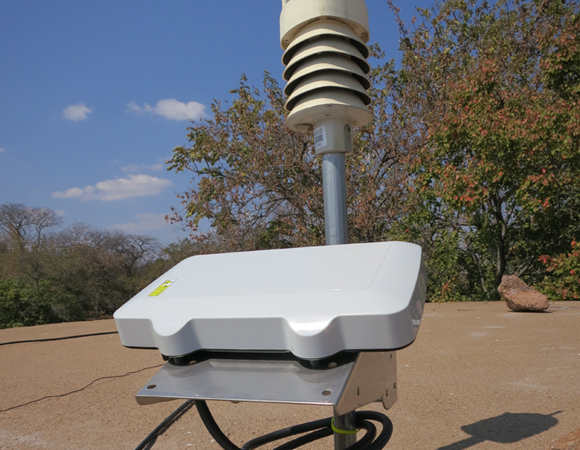 Both GPS sites are existing AfricaArray sites and will be used to test the two different types of communications systems for deployment to other sites within AfricaArray. 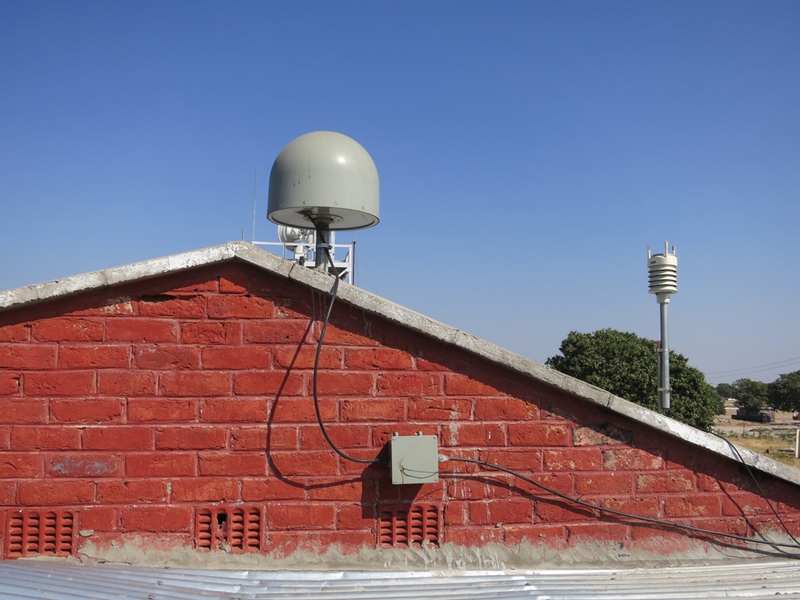 While the satellite system can be deployed anywhere across the continent, particularly in places with no cellular infrastructure, the drawback is the high cost to transmit the GPS and Met data. In contrast, the cellular modem is relatively inexpensive to operate, but requires a close proximity to a cellular service. Even when close proximity is available, it is sometimes unreliable depending on the cellular system service. AfricaArray is a multidisciplinary observatory network spanning much of eastern and southern Africa. The program promotes, strengthens, and maintains a workforce of highly trained African geoscientists. This array supports both geologic and atmospheric related research in Africa and provides the underpinning for an education and outreach program serving American and African students. Meteorological, atmospheric, and geophysical data from the network gathered over a period of 10 or more years will be used to address fundamental cross-disciplinary science questions on climate - solid earth interactions, as well as many complementary questions that are more discipline-specific. The primary science justification for developing a multidisciplinary AfricaArray network is to address the hypothesis that hominid evolution is coupled to deep, large-scale mantle processes through the tectonic forcing of climate. Figure 1. Africa Array Station MONG. 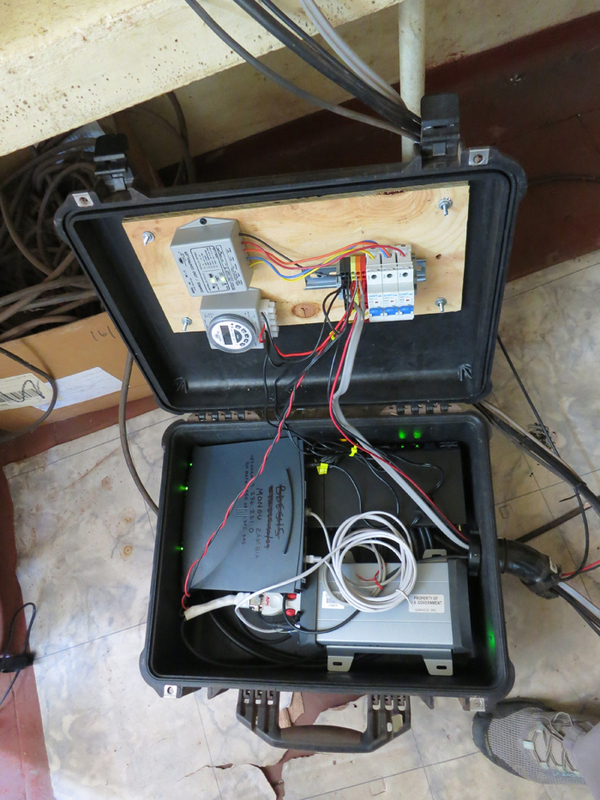 GPS antenna on the left, Vaisala Met Pack on the right. Photo by Abe Morrison. Figure 2. 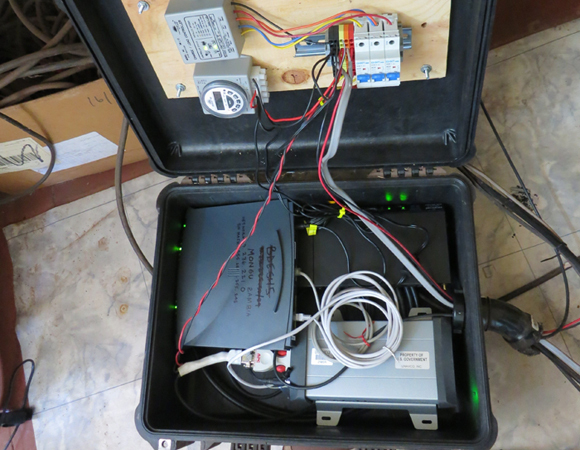 Africa Array Station MONG equipment box with cellular modem, VPN router, GPS receiver, and power system installed. Photo by Abe Morrison. Figure 3. Africa Array Station TEZI Vaisala Met pack in the background with BGAN Satellite communications device in the foreground. Photo by Abe Morrison. Figure 4. 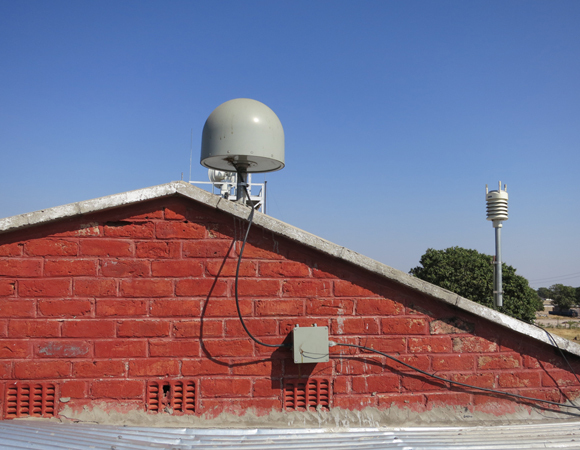 Africa Array Station TEZI roof with GPS antenna, Met Pack, and Satellite comms equipment. Photo by Abe Morrison.